Accrington Stanley John Coleman has urged his players to believe they can end the season in the promotion places. 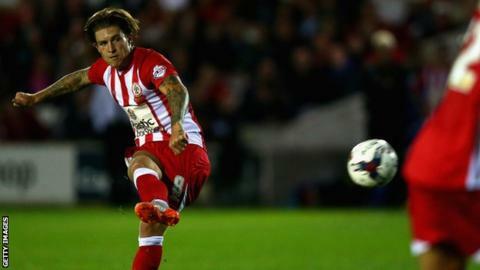 Stanley won 3-0 at Crawley to extend their unbeaten run to seven games and move up to fifth in League Two. Coleman, 52, is in his second stint at the Lancashire side after returning last September. "I've been saying to them from, 'we've got to start acting like we're a top side and start believing we're a top three or seven side'," said Coleman. He told BBC Radio Lancashire: "You've got to act like that on the pitch. "I'm on about the work ethic, the preparation and every day you're going to work. "Even in training we've got to act like we're a top side, set high standards and demand a lot of each other."